Exploring the history of Civil War commemorations from both sides of the color line, William Blair places the development of memorial holidays, Emancipation Day celebrations, and other remembrances in the context of Reconstruction politics and race relations in the South. His grassroots examination of these civic rituals demonstrates that the politics of commemoration remained far more contentious than has been previously acknowledged. Commemorations by ex-Confederates were intended at first to maintain a separate identity from the U.S. government, Blair argues, not as a vehicle for promoting sectional healing. 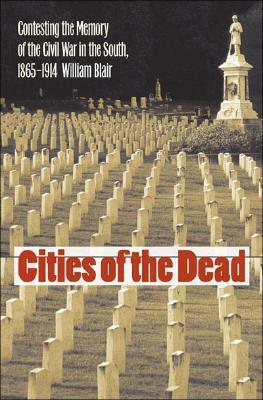 The burial grounds of fallen heroes, known as Cities of the Dead, often became contested ground, especially for Confederate women who were opposed to Reconstruction. And until the turn of the century, African Americans used freedom celebrations to lobby for greater political power and tried to create a national holiday to recognize emancipation. Blair's analysis shows that some festive occasions that we celebrate even today have a divisive and sometimes violent past as various groups with conflicting political agendas attempted to define the meaning of the Civil War.